As you’ve already seen, we’ve been invited to participate in the Redbull creation contest. While we were deep into our work today, hacking things apart and soldering things together while trying not to blow ourselves up, we received a second package! 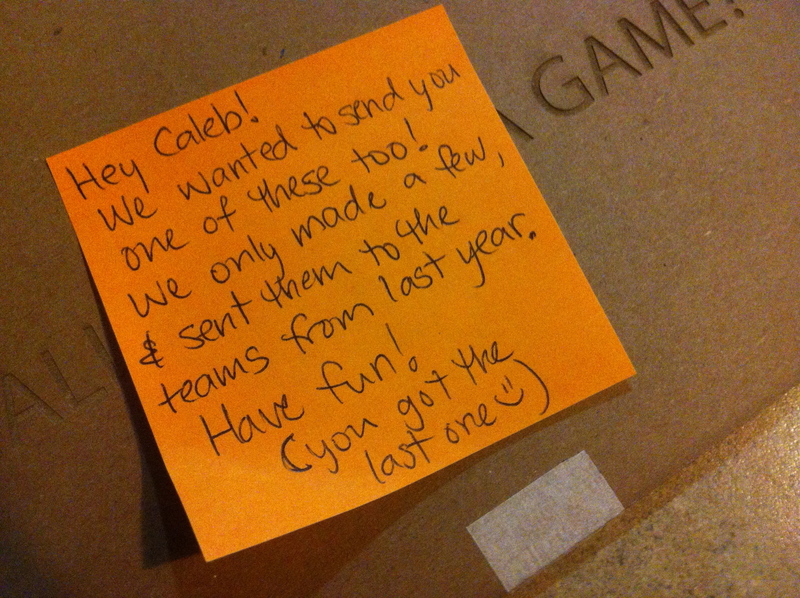 It had a hand written note explaining that this was the last of its type, reserved for only the most awesome teams. We got the very last one. In this box was another bullduino. This one had a shield on it with a fancy display in the middle and a few scattered LEDs. Upon plugging it in, we were greeted with a “simon” style game that you can play using the resistive touch pads on the pcb. You can see the result in the video above. Also, my nose doesn’t work very well, but my wife informed me that the red bull mail smelled like bacon. I’m unsure if this was intentional or not. Our project is coming long nicely. Preliminary tests today yielded fantastic results with minimal sub dermal hematoma. We look forward to unveiling this beast to the public. Stay tuned! never gonna give up arduinos. LOL.. but why would anyone be expected give up the arduino? You mean capacitive touch pads, right? Are they actually capacitive touch pads? It looked like you were pressing directly on the LED packages. If so – they may be measuring the response of the led when off as a simple light detector. You can see the big capacitive copper traces around the leds on the last picture. And as simple as cap-sensing is with libraries, why would they lie. Ahh – I see them now. I was thinking that was ground plane, but I see the smd parts between them and wherever they run on the board. Being black masked and a bit blurry it’s a bit difficult to follow the traces – good eyes cde! 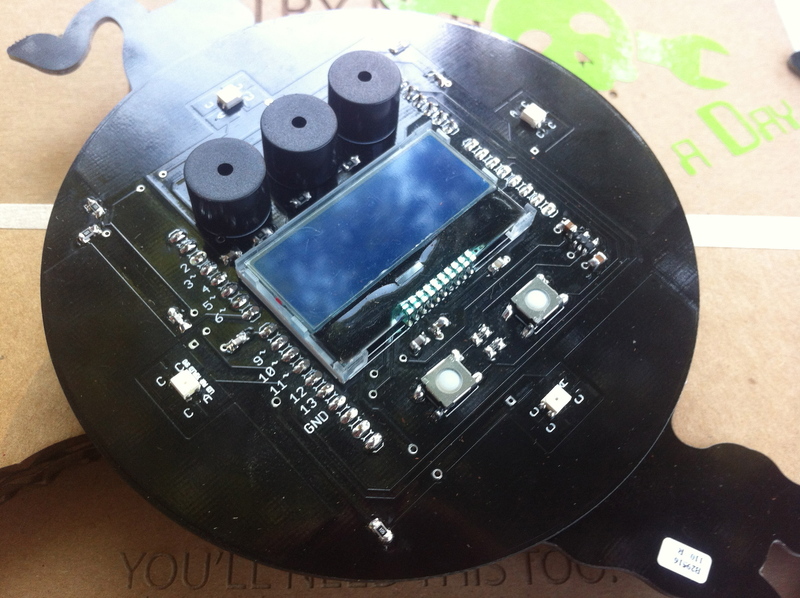 Is the bacon smell from the laser cut cardboard? Mine smelled funny too. Possibly. again, I can’t really smell it. The CC is via Google/Youtube. It can be pretty entertaining sometimes. I love how redbull get so involved with everything they do. They push the awesome bar. I remember a few years ago they had a flash game for winning tickets to their event and they’d spent a tonne of effort on it. Then all the events. Plus redbull gives me wings. So big thumbs up to redbull. To a degree this is a stunt to get more exposure via HaD but who cares, this is exactly the stuff we love! Off the top of your head, what’s their share price at? I always accept blatant advertising of this sort with open arms because the company doing it really understand their fans. Plus, any business that trolls it’s market is my hero. 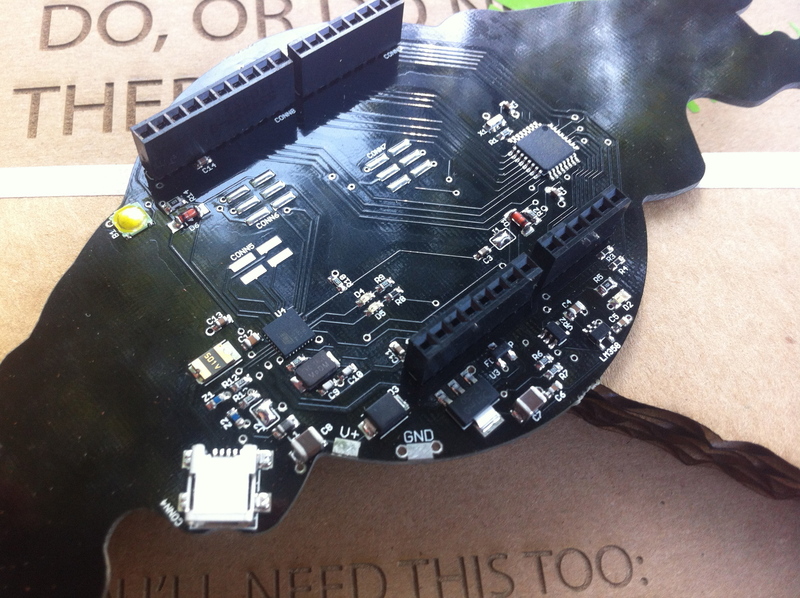 We got our Bullduino yesturday! Well, if anyone would have time for something like this it would be the people at Redbull because they obviously don’t sleep.